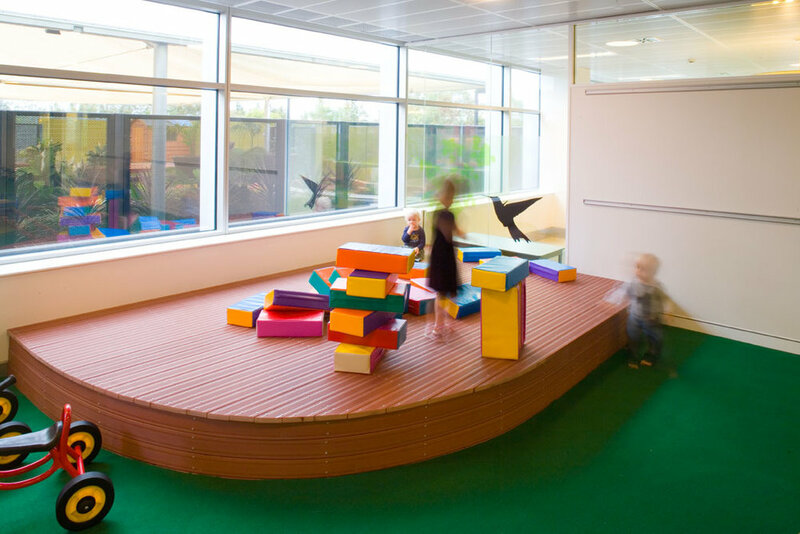 The Quad 4 Child Care Centre is located at Homebush in New South Wales and is a 90 place centre. The project process was quite complex and involved the integration and co-ordination by Futurespace of base building services and elements such as an external deck, shade structure and mosquito protection with the building owner (GPT), the base building contractor (Bovis Lend Lease) and the base building architect (Cox). 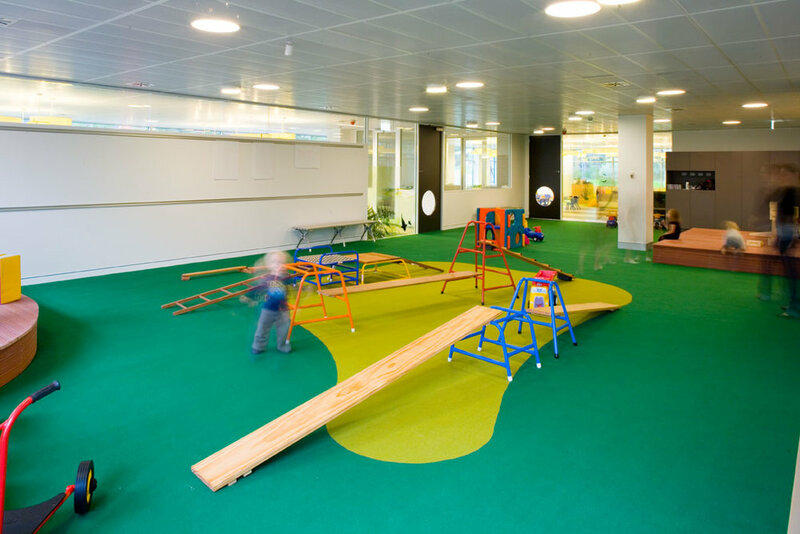 The building in which the center is located is a 5 star ABGR accredited and a 5 star Greenstar targeted building and therefore any decisions made during the design of the child care centre could not compromise these ratings. 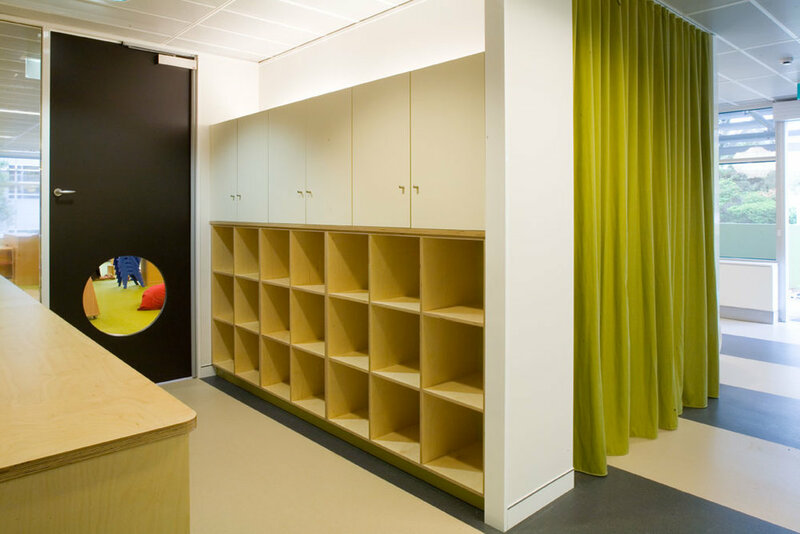 As there is no Greenstar tool by which to assess the design, Ferguson Design Studio prepared an Environmental Report that referenced the Greenstar office tool and noted compliance with relevant clauses. All selections to do with energy, appliances, finishes, fixtures and furniture have been made with impact on the environment in mind. If a Greenstar tool for child care centres were available we are confident that the Parkview Child Care Centre would achieve a 5 star rating.